The TVAX Platform,TVAX Biomedical, Inc.
TVAX Biomedical is developing an exciting new approach to cancer treatment that offers the promise of improved clinical outcomes, low toxicity and the potential for fundamentally changing the way cancer is treated. 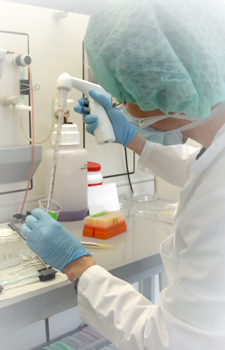 TVAX Immunotherapy® is a unique personalized combination of cancer cell vaccination and “killer” T cell treatment platform that is built upon more than 50 years of intensive scientific and medical research into the interactions between cancer and the immune system. This novel, proprietary immunotherapy platform has demonstrated the potential to effectively treat numerous cancers with very low toxicity, potentially offering a paradigm shift in the systemic treatment of cancer. The key distinction between TVAX and other cancer immunotherapy companies is that TVAX Immunotherapy uses BOTH cancer vaccine pretreatment to generate cancer-specific T cells AND activated “killer” T cell treatment – this proprietary combination has demonstrated significant efficacy. With the ability to address the significant medical and market need in oncology, TVAX’s therapeutic platform has the potential to generate $B+ products in each separate cancer indication. This begins with TVAX’s lead program in brain cancer which has the potential to conservatively generate more than $1B in annual sales.